Camping has long been a tradition in many cultures. 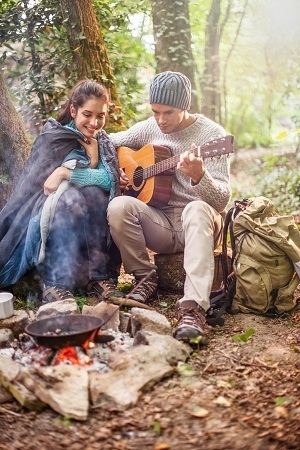 Long starry nights in nature, evenings around the campfire filled with stories and songs. There is little surprise that generation after generation take up this "get back to nature" activity. Unfortunately, after such a wonderful night around the fire, a lot of us wake up with the question of how to get campfire smell out of clothes. It can often linger far longer than anyone would appreciate, and with multi-day trips, or non-machine washable clothes, this can be a big issue. We have a few solutions to offer that really work, whether you are still camping or back at home already. By following these simple steps, that include ingredients you most likely already have to hand, you are guaranteed to have your clothes smelling fresh once again in no time! For those on multi-day camping trips, the main issue can be staying fresh while packing light. We cannot see lugging laundry soap or Febreeze around as an option, only to make sure your clothes stay smelling nice. 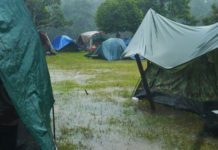 After all, the thing you’d want least is to terminate your camping trip early only because of the pungent odors lingering around you day and night. 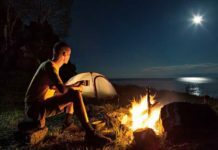 Luckily, we have some tips you can use on your camping trip, that will not only easily get rid of campfire smell, but also sweat as well as other strong odors. Alcohol is among the favorite ingredients when it comes to perfume manufacturing and there is a good reason why. When it heats up and starts evaporating, it releases any odor that it has soaked into itself. Works great for world class designer scents! But more importantly, it can also be applied as a cleaning solution. For this cleaning method you can use regular vodka that you have already brought with you on the trip. Just mix it with warm water in an empty spray bottle, generously spray your clothes and leave them to dry in the sunlight. 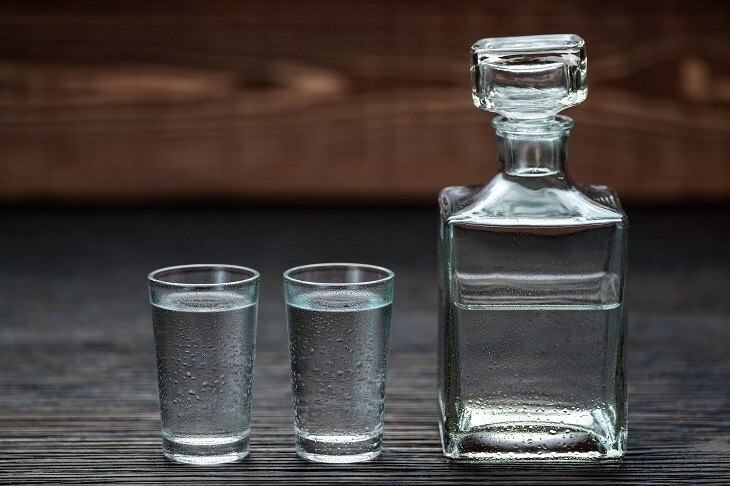 As the vodka evaporates it will take any bad odors with it, and within a few hours your clothes will be smelling nice and fresh. We understand that not everyone travels around with a bottle of vodka at the ready. 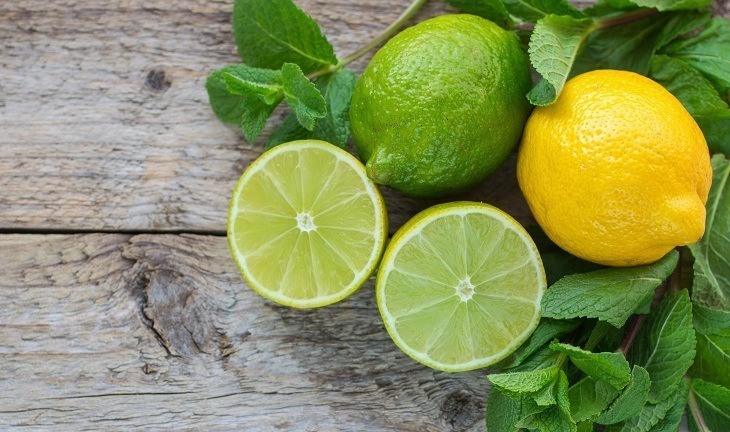 Luckily though, lemons and limes are naturally acidic and great helper when fighting bad smells too. No wonder most of the household cleaners come with lemon scents! 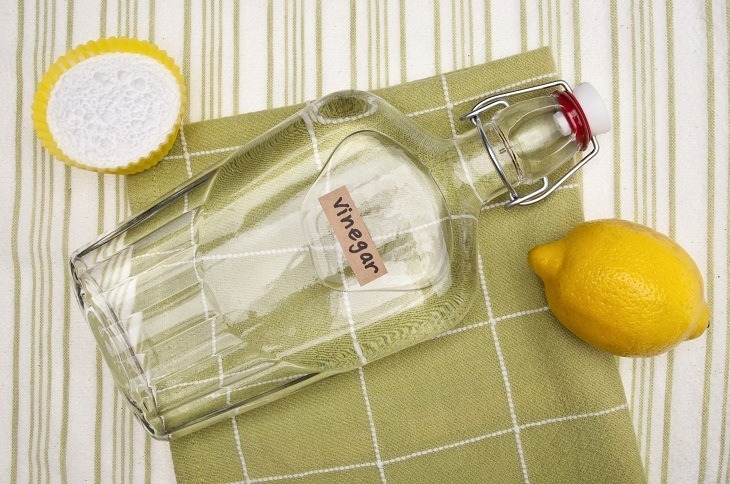 Fill a spray bottle with 1 part lemon juice and 8 parts warm water. Mix it well and give your smelly clothes a good spray. Make sure you cover the fabric thoroughly. Once damp all over, hang them in the sunlight for 3-4 hours and let nature take its course. Lemon spray is one of our favorites around the camp, as this will not only help you get campfire smell out of clothes, but will also help with keeping your tent, sleeping bags and other gear smelling fresh. Definitely a favourite! When camping, always try to keep in mind that rinsing your clothes with water and leaving them to dry in the sun with a cool breeze will freshen them up. Personal Tip: When we camp, we try to get all our gear that was used the day before out into the sun for at least an hour every morning. This is easy to achieve if you do it before breakfast. This way, by the time you break camp, the bad odors from last night are blown away by the breeze and everything is much fresher for the evening. 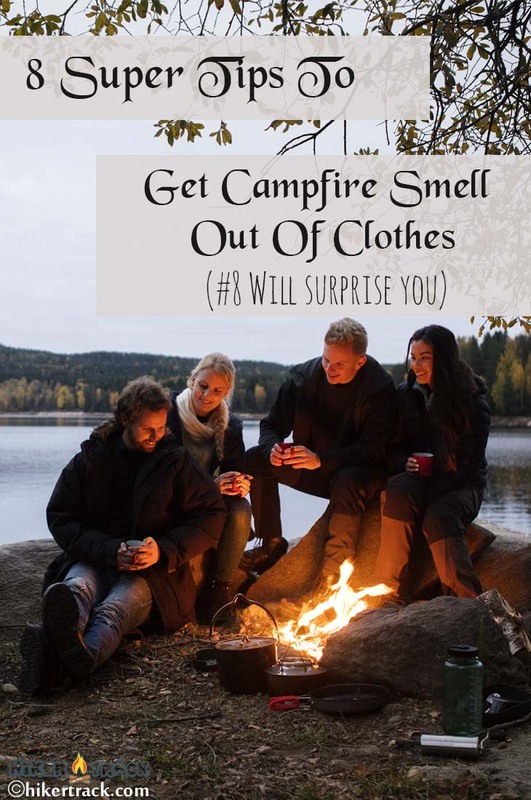 Now that you are back home from your camping trip, or a simple BBQ in your backyard, it’s going to be a little easier to get rid of the campfire smell out of your clothes. The ingredients you’ll need for these methods will most likely be laying around your house. And as long as you own a washing machine - this will be a smooth ride. First of all, make sure that your clothes are machine washable, and note down the maximum temperature you can wash them at. Anything that is not machine washable, we suggest to be dry cleaned. Sometimes a simple, hot temperature machine wash cycle can be all you need to get campfire smell out of clothes. When getting ready to do your laundry, make sure you check the labels of clothes and use the hottest temperatures allowed. Hot water thins out the fabric by opening up the fine threads, which allows detergent to penetrate better. 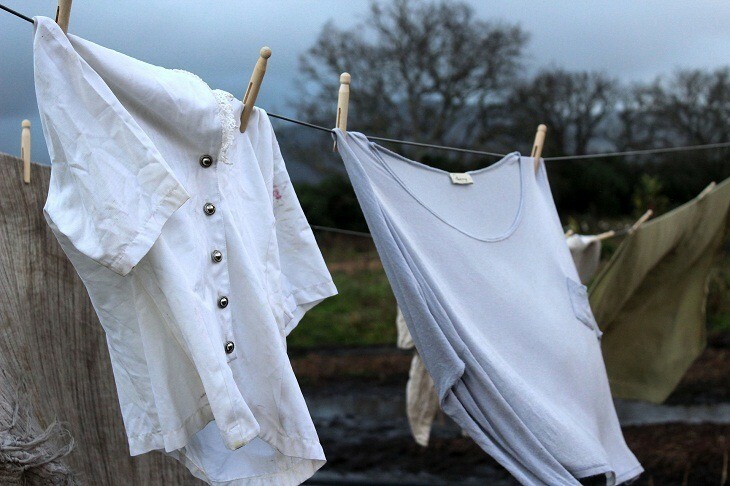 Sometimes only one hot wash can be enough to get rid of pungent smells out of clothes. 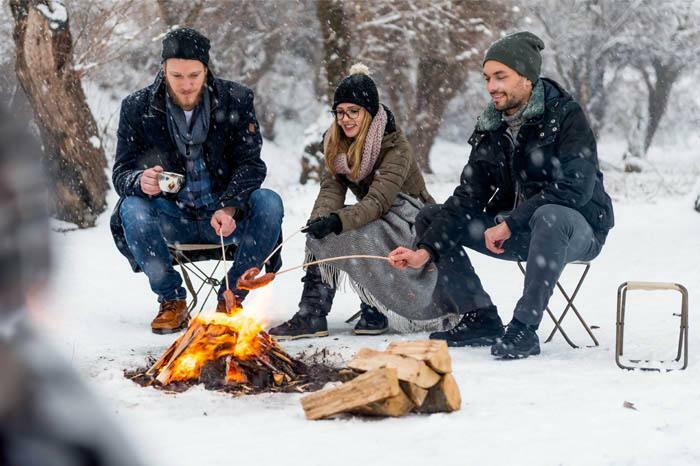 If the smell of campfire in your clothes is not that strong, you can add half of cup of white vinegar straight into your washing machine. Together with the detergent it should take care of the strong smoky smells and your clothes will come out smelling fresh. 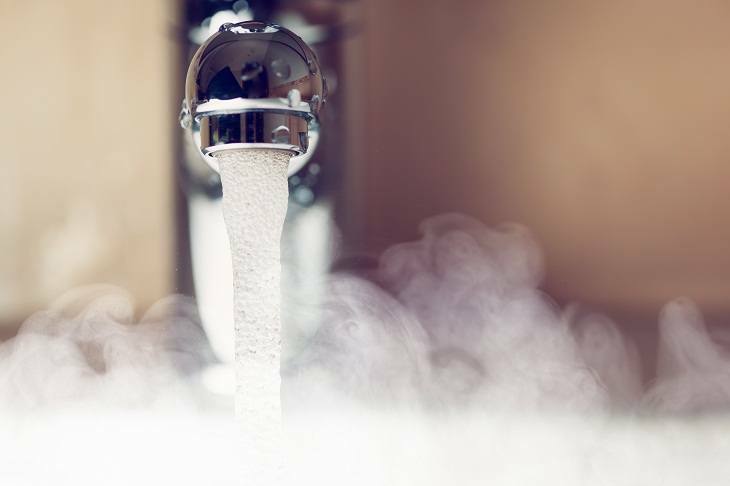 For the most persistent smells, run a bathtub with hot water and add full a cup of white vinegar. Carefully place your smoke-filled clothes in the tub and make sure that they are well covered with water. Soak them thoroughly for a few hours and wash/dry with your regular routine after that. The smell should be all gone, but make sure you double check when taking them out of washing machine. If the odor was really strong to begin with, you might need to put them through one more cycle. 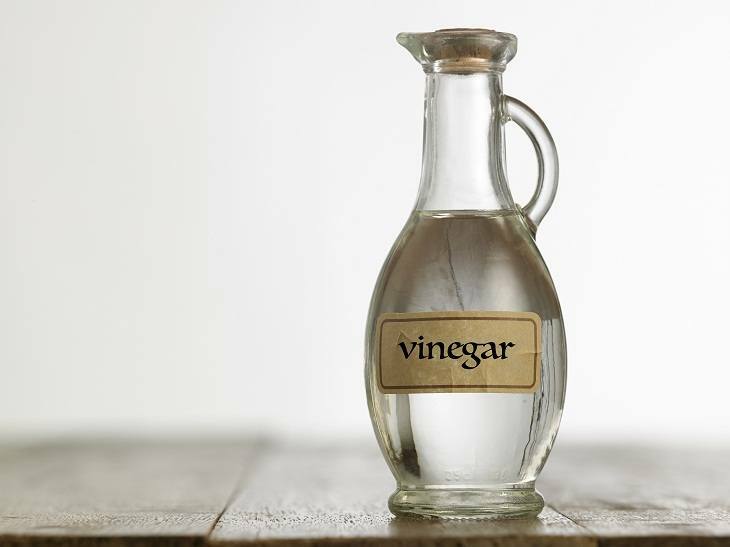 If you are out of white vinegar you can always rummage through your kitchen cupboards for some baking soda. 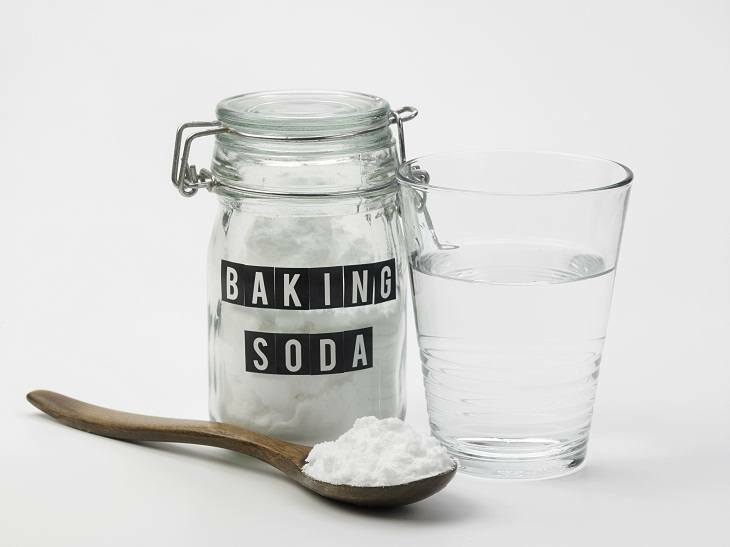 Baking soda has long been a popular choice for fighting with strong odors. Simply add half a cup of soda into your normal wash cycle and it should get rid of the strongest of smells. Just make sure you are careful not to use this method on anything silk or woolen. These materials can be very sensitive, and baking soda could harm them. For wool and silk we suggest either dry cleaning, or using vinegar in the wash cycle. 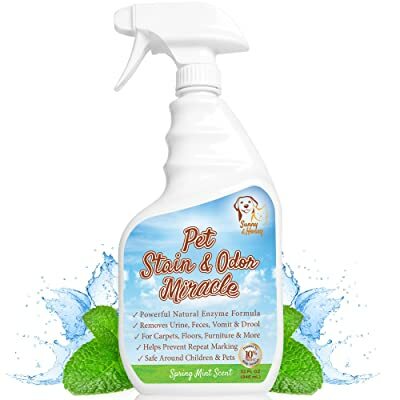 If you have a pet at home, chances are you also own a bottle of enzyme cleaner. Turns out enzyme cleaner is not only good for cleaning up after your furry friend, but to also get strong odors out of clothes, especially campfire smoke. Mix 1 part of enzyme cleaner with 10 parts of warm water in the bathtub. Put all of your campfire-soaked clothes in and make sure they are fully covered with the solution. Leave them for a few hours. Once the enzymes have done their work, remove the clothes from the bathtub and put them in the washing machine on the usual cycle. The enzymes literally eat the pungent odors out of the fabric, so after a wash with the laundry detergent, your clothes should be smelling fresh and clean. You now have the knowledge of how to get campfire smell out of clothes quickly, easily, and cheap. No more worries about any odors as you spend time camping with your family or having a BBQ with your neighbours. Armed with these tips, we hope that you will love every moment around the campfire with no more worries about the smells. After all, relaxation is why we go to nature in the first place. 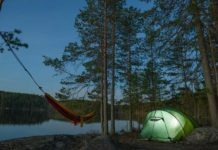 If you found these tips to be effective, make sure to SHARE this article with your friends who love camping too! After all, everyone wants to know how to get campfire smell out of clothes easily and with no hassle.